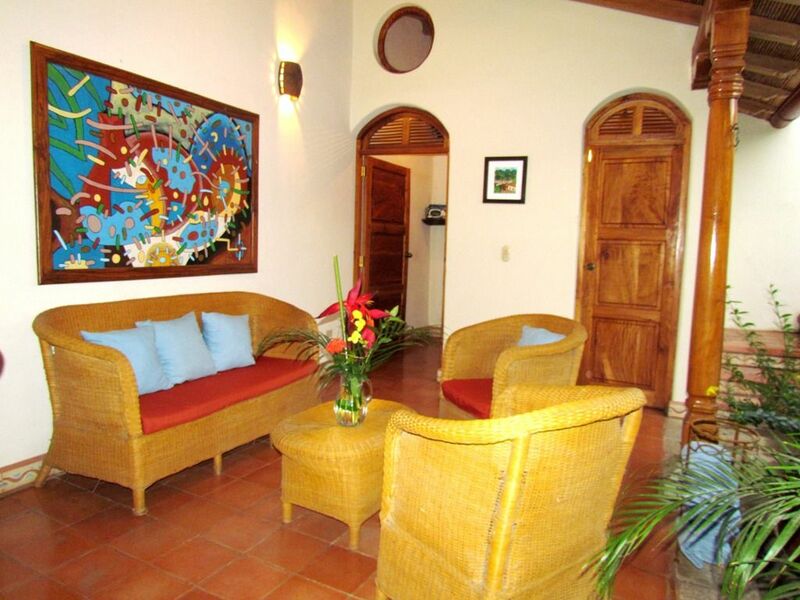 This darling three bedroom house is located about 4 blocks from the center of town. The space is well thought out to allow you to enjoy a pool and a roof top terrazzo. Upon entering the home, you are greeted with beautiful antiques as well as fun photos of Granada in the entryway. The entry opens onto the main part of the house which includes a dining area, sitting area, living area, kitchen and pool. The dining area seats 6 comfortably and the kitchen is fully equipped with everything you need. There are three bedrooms, all with air conditioning, ceiling fans and private baths. Two bedrooms are equipped with queen beds and the other with a full. There are built in closets as well as a comfortable place to sit back and enjoy that novel you have been dying to read. Upstairs, you will find a small terrazzo with a great view of the Granada rooftops and the Mombacho volcano. This is a quiet place to enjoy your morning coffee or evening cocktail with your friends and family.